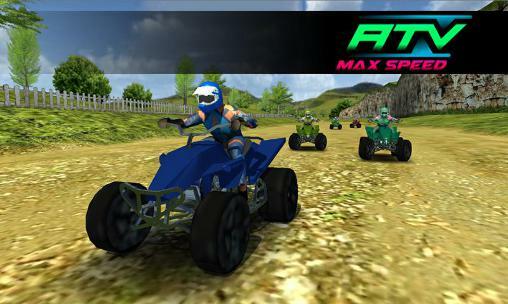 ATV Max Speed - is a quad bike racing game with high quality graphics and smooth controls that everyone can use! Can you handle the speed of this vehicle? Race over great rally tracks and do not crash. Every level you need to reach the top 3 so you unlock the next level. 6 different 3D tracks and 2 different worlds to race, Summer style and Snow! Try to drive your ATV to the number one spot when you compete against 5 other quad drivers on the circuit. Get your maximum speed and become a ATV winner! Be aware of the snow because it gets more slippery and you need to use your driving skills more. In the sun you can go as fast you can and just watch your steering in the game to become a success. - Totally free to play! ATV Max Speed: Install APK and Play the Game!